•	Bihar and Andhra Pradesh led the pack among States in terms of GDP growth in financial year 2017-18. •	Bihar registered 11.3% and Andhra Pradesh registered 11.2% growth, compared with the national GDP growth of 6.7% for the year. •	12 of the 17 general category States grew faster than the national growth rate. •	However, the report noted that this growth was not equitable, with the gap between the per capita incomes in low-income and high-income States widening over the last five years. •	Jharkhand, Kerala, and Punjab are at the bottom. 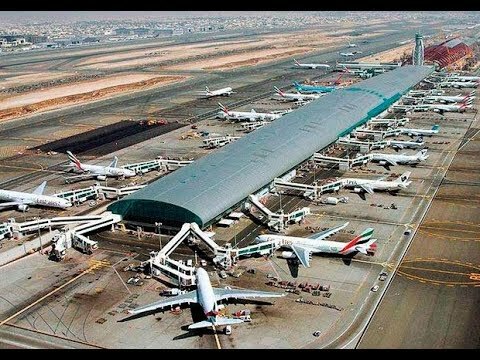 •	Dubai International Airport has retained its position as the world`s busiest airport for the fifth consecutive year in a row in 2018. •	It overtook the crown of the world`s busiest hub for international travel from London`s Heathrow in 2014. •	Indian travellers emerging as the largest source of traffic for the airport with a total of more than 12.2 million travellers. •	The government has approved construction of four lakh 78 thousand 670 more affordable houses for the benefit of urban poor under Pradhan Mantri Awas Yojana (Urban). •	In a press release, Housing and Urban Affairs Ministry said, the approval was given in the 42nd meeting of the Central Sanctioning and Monitoring Committee held in New Delhi. •	The Ministry said, out of total houses, over one lakh houses each have been sanctioned for Andhra Pradesh and West Bengal. •	The number of houses sanctioned for Uttar Pradesh is over 91 thousand, for Tamil Nadu over 68 thousand, for Madhya Pradesh over 35 thousand and for Kerala over 25 thousand. •	SBI Card and Etihad Guest, have joined hands to launch a travel specific Visa credit card for members and Indian travellers. •	This is the first international co-brand partnership of SBI Card, the country`s second largest credit card issuer. •	The card will be available in two variants, Etihad Guest SBI Card and Etihad Guest SBI Premier Card. •	The card will bring an unmatched value proposition to Etihad Guest members and international travellers from India. •	India has improved its ranking on a global corruption index in 2018 by three points and moved to 78th position with a score of 41. •	In the list of 180 countries, China and Pakistan lagged far behind at 87th and 117th position, respectively. •	According to the rankings released by an anti-corruption watchdog, Denmark is the least corrupt country followed by New Zealand. •	Somalia, Syria and South Sudan are the most corrupt countries in the world. 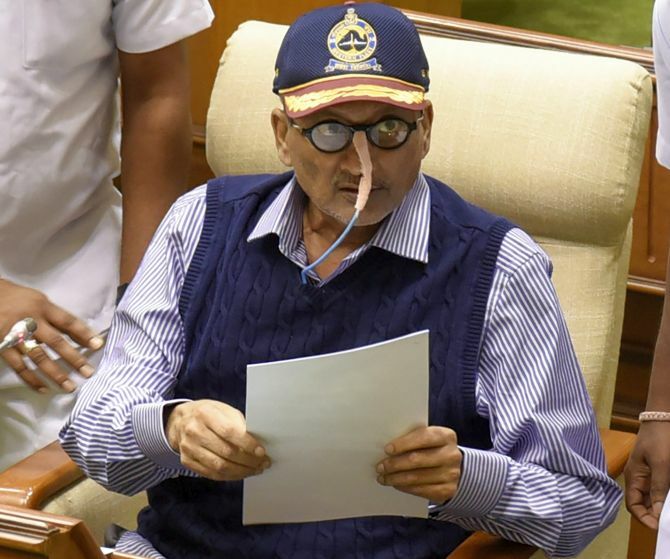 •	Goa Chief Minister Manohar Parrikar, who also holds Finance portfolio, today presented annual budget of 19,548.69 crore rupees for the year 2019-20 as against 17,123.28 crore rupees for the year 2018-19, representing an increase of 14.16 per cent over last year. •	The total estimated expenditure on Revenue Account was 13,308.26 crore rupees while the expenditure on Capital Account was 4987.45 crore rupees. •	There was an increase in the allocation for Capital Expenditure by 18.29 per cent, as compared to the budget estimate for the last year, which was 4216.25 crore rupees. •	Overall the budget indicated a revenue surplus which was estimated to be 455.10 crore rupees. •	The Chief Minister said the government had laid stress and thrust on agriculture, education, health, information technology, employment, infrastructure and overall sustainable economic development of the state. •	The Delhi government has decided to introduce Minimum Support Price (MSP) for farmers based on the report of the MS Swaminathan Commission. 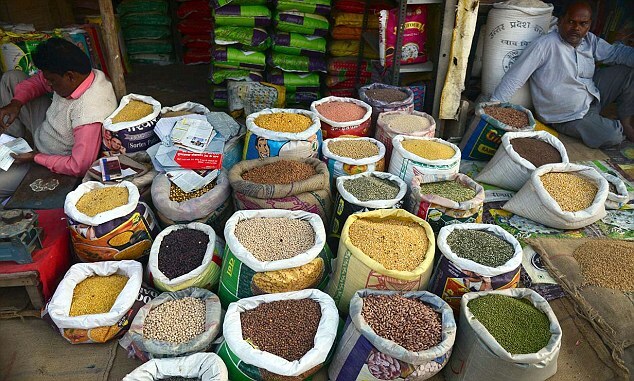 •	A three-member committee was formed in December to study the MS Swaminathan Commission’s report. The committee has submitted its report. The report will be put before experts for suggestions. Once the MSP is finalised, the government will hold meetings with farmers, seeking their views and thereafter it will be sent to the Cabinet. •	The National Commission on Farmers (NCF), with MS Swaminathan as its chairman, was formed in 2004. •	To come up with a system for sustainability in farming system and make it more profitable and cost competitive in farm commodities. To also recommend measures for credit and other marketing steps. •	The commission submitted five reports between December 2004 and October 2006. The fifth and final report is considered the most crucial as it contains suggestions for the agriculture sector as a whole. •	Distribute ceiling-surplus and wasteland among farmers, prevent the non-agricultural use of farmland, secure grazing rights and seasonal forest access to forest tribals. •	Establish a National Land Use Advisory Service, which would link land use decisions with ecological and marketing factors of season and geography-specific basis. •	Reform irrigation resources and its distribution among farmers. Use rainwater harvesting, water level recharging to increase water supply. •	Spread outreach of institutional credit by reducing crop loan interest rates, provide a moratorium on debt recovery, agricultural risk fund and a separate Kisan Credit Card for women farmers. •	To address the growing farmer suicides, provide affordable health insurance at primary health centres in rural areas. The recommendations included an extension of national rural health mission to suicide-prone areas. Restructuring of microfinance policies, covering all crops by insurance and social security net for support were also sought. •	Give farmers a minimum support price at 50% profit above the cost of production classified as C2 by the Commission for Agricultural Costs and Prices (CACP). •	India has replaced Japan as the world’s second-largest steel producing country, only behind China, which is the largest producer of crude steel accounting for more than 51 per cent of production, as per the latest report by World Steel Association. •	The global steel body, in its latest report said, China’s crude steel output jumped 6.6 percent to 928.3 million tonnes in 2018 from 870.9 MT in 2017. China’s share increased from 50.3 percent in 2017 to 51.3 percent in 2018. •	“India’s crude steel production in 2018 was at 106.5 MT, up 4.9 percent from 101.5 MT in 2017, meaning India has replaced Japan as the world’s second-largest steel producing country. 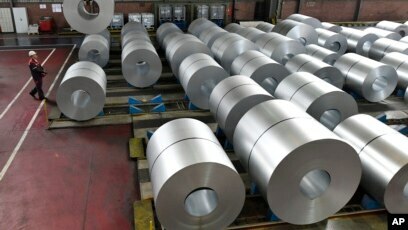 Japan produced 104.3 MT in 2018, down 0.3 percent compared to 2017,” Worldsteel said. •	Global crude steel production reached 1,808.6 MT in 2018 from 1,729.8 MT in 2017, a rise of 4.6 percent. 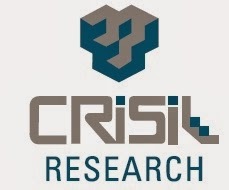 •	Others in the top 10 steel producing countries include the U.S., at the fourth position as the country produced 86.7 MT of crude steel in 2018, South Korea (72.5 MT, fifth place), Russia (71.7 MT, sixth), Germany (42.4 MT, seventh), Turkey (37.3 MT, eight), Brazil (34.7 MT, ninth) and Iran (25 MT, tenth). •	The World Steel Association is one of the largest industry associations in the world. Its members represent around 85 percent of the world’s steel production, including over 160 steel producers with nine of the 10 largest steel companies, national and regional steel industry associations, and steel research institutes. 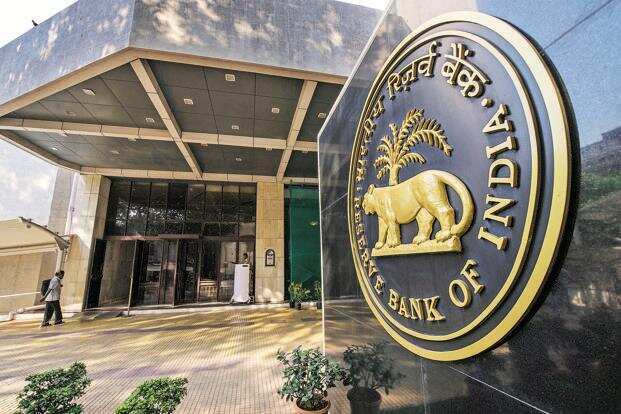 •	The Reserve Bank of India said that it will inject Rs 37,500 crore into the system through purchase of government securities in February to increase liquidity. •	The RBI said it has been monitoring the evolving liquidity conditions and durable liquidity requirements of the system. •	In a release issued from Mumbai RBI stated that it has decided to conduct purchase of government securities under Open Market Operations (OMOs) for an aggregate amount of Rs 375 billion in the month of February 2019 through three auctions of Rs 125 billion each during the 2nd, 3rd and 4th week. •	The release stated that there will be no auction during the first week due to the scheduled MPC meeting. •	The apex bank said that it would inform about the auction dates in the due course. •	The ‘Tata’ brand has entered the list of Top 100 most valuable global brands, according to the Brand Finance Global 500, 2019 report. •	The report has been released at the World Economic Forum in Davos. •	Climbing from the 104th to the 86th position this year, Tata is the lone Indian brand in the Top 100. •	The total value of Brand Tata increased 37 per cent to $19.5 billion in 2019 from $14.2 billion a year ago.